SMD Snail Serum…and why it is so amazing!! SMD makes one of the most amazing, luxurious snail creams out there…but before I talk about why this is Korea’s hot secret to beauty, let me discuss the origins of this snail cream rage! As a snail protects itself, the slime that is excreted from its body is packed with nutrients like hyaluronic acid, glycoprotein enzymes, antimicrobial and copper peptides, and proteoglycans. All of these nutrients are already commonly added to beauty products and are thought to provide many benefits to skin. But not all snail cream is created equal…and it is not all about how much % of snail mucus is in the actual cream, it’s about how it is filtrated, formulated and what other chemicals are in the cream. Here at SMD we do not use toxic chemicals or toxic preservatives in our products. We also have added in some other amazing ancient Asian herbal medicine to our cream to enhance it’s benefits. Licorice Root – One of the oldest remedies in history…was recognized in its benefits in brightening of the skin and its ability to even out the skin tone, making it an especially treasured ingredient in beauty rituals. Forsythia Virissima – can help reduce acne, wrinkles, and facial pigmentation over time. Safflower Seed Oil – this is a favorite in natural skincare because it’s a botanical alternative to synthetic emollients. It’s a potent hydrator and ideal for dry, sensitive complexions. Cimicifuga Dahurica Root – used topically to treat skin conditions such as acne. It helps to improve the feel and appearance of your skin. Based on it’s intense medicinal use by Native American Indians and it’s reputation as a great cure-all, Cimicifuga appeared in 1820 in the U.S. Pharmacopeia as an anti-inflammatory, sedative and antispasmodic ingredient. It provides soothing and bactericidal properties. This product is recommended for use in anti- blemish creams, purifying face masks, and lotions. Paeonia Lactiflora Root -is valued for the Paeoniflorin active, which has an antioxidant effect similar to Vitamin E. It also stimulates circulation with overall skin beautifying properties.The botanical prevents lipid peroxidation in the epidermal cells for healthy skin. Its extract has been used medicinally for centuries to boost microcirculation, treat inflammation and relieve pain. Platycodon Grandiflorum Root – contains potent antioxidants that destroy these harmful radicals before they build up in your body. This leaves your skin smooth and healthy, leaving you looking younger and revitalized. Pueraria Lobata Root Extract – this Asian botanical helps brighten skin for a more even-looking complexion. Beta-glucan – is a natural compound, extracted from plants, that helps to maintain a youthful appearance for skin…it’s a must have anti-aging ingredient! SMD really has found the perfect balance of ingredients and formula to elevate snail cream to the next level of skincare innovation. With 62% pure snail secretion to solve various skin concerns such as fine lines, acne, dullness and wrinkles. Coming soon to the U.S. in 2016!! Red ginseng has been used for centuries and has many benefits for the skin, hair and health. Let’s explore the miracles it does for the skin and why SMD uses Red Ginseng in the Saromae Moisture skincare line. Ginseng is most often included as an anti-aging ingredient in facial moisturizers. Several medical studies have shown its effectiveness in fighting wrinkles due to ginseng’s ability to boost skin-firming collagen. The herb also acts as a whitener, giving the skin a brighter and more youthful appearance. Anti-wrinkle: A 2009 study on women over 40 with photo aged skin (skin damaged by sun exposure), reported that a mixture of red ginseng extract and other herbs improved facial wrinkles and enhanced the production of collagen, which helps strength skin. Anti-aging: Another study that same year found that red ginseng extract had a protective effect against skin photo aging caused by chronic sun exposure, potentially due to its ability to increase collagen synthesis. 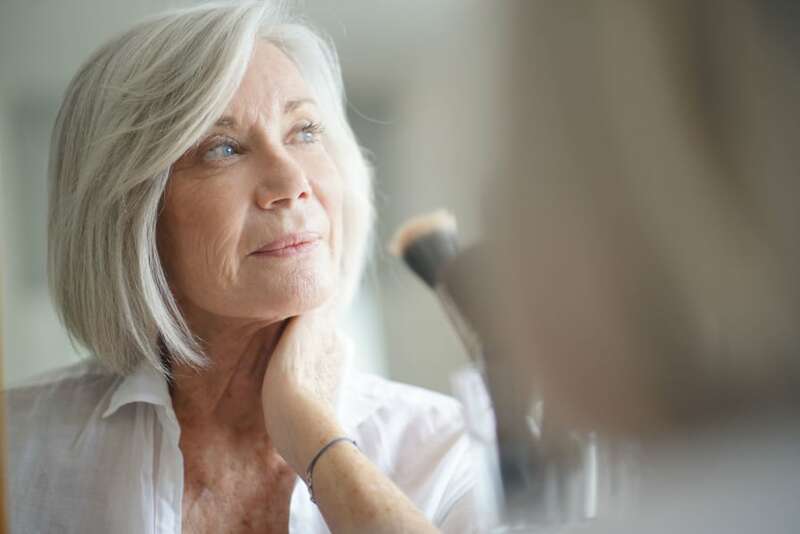 Supporting collagen synthesis is important because as we age, collagen becomes stiffer and weaker, and turnover takes longer than when we were younger. Improving collagen production helps retain skin’s elasticity and strength. Protect against sun damage: Researchers also found that it helped protect skin, preventing UVB-induced skin photo aging at very low doses. Improve blood circulation: Ginseng has shown in several studies to help improve blood circulation, which can help the skin receive more of the nutrients it needs to be vital and healthy. Improves acne and rosacea: Ginseng helps refine the skin and counteract dryness, and because of its anti-inflammatory properties, can help reduce acne outbreaks and may tone down rosacea and psoriasis. Brightens skin tone: Some small studies on ginseng berry extract have found that it has potential in lightening and brightening skin, helping to inhibit the production of melanin, which gives skin its color and can contribute to hyper-pigmentation. Specifically, researchers found that ginseng could help protect skin from the type of pigmentation that is caused by UV radiation—the sun. Pretty amazing stuff isn’t it? !